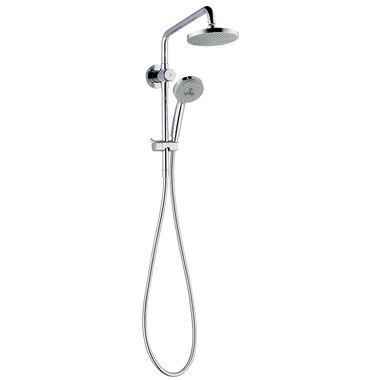 This Croma SAM Plus 160 showerpipe set connects to your existing pipe connections to allow you to easily add an overhead shower head to your existing shower stall. 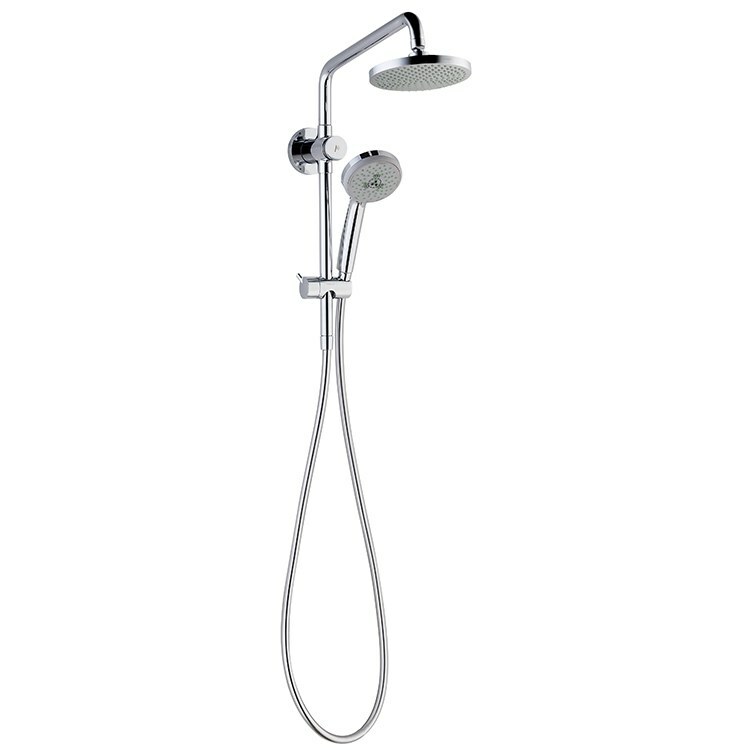 Set includes a Croma 160 Green single-function shower head, a Croma E 100 Green three-function handshower, 63" Techniflex shower hose, a 13-3/8" shower arm, connector, and piping for a handshower. 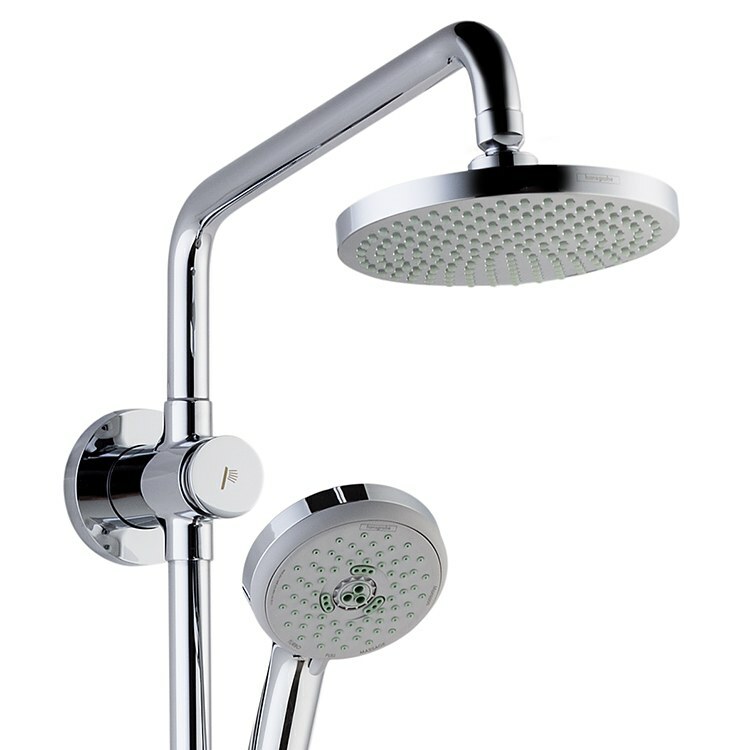 The shower head measures 6-1/4" in diameter with 178 no-clog spray holes that deliver a Full spray pattern. The handshower features an oversized 4" spray face, air-injection technology, and offers a choice of Full, Massage, and Intense Massage spray modes. The system measures 21-1/4" high overall.